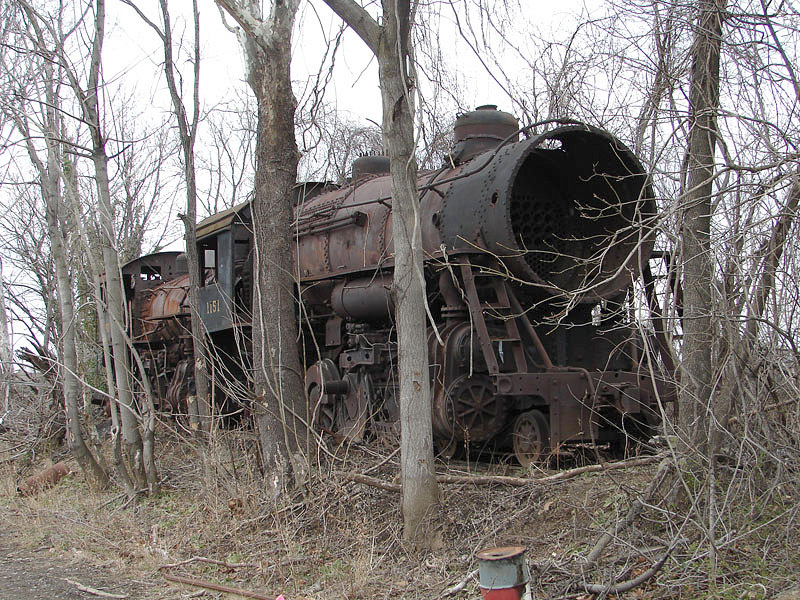 UPDATE August 2009: N&W 1151 was removed from the yard on August 21, 2009 and delivered to her new home at the Virginia Museum of Transportation. 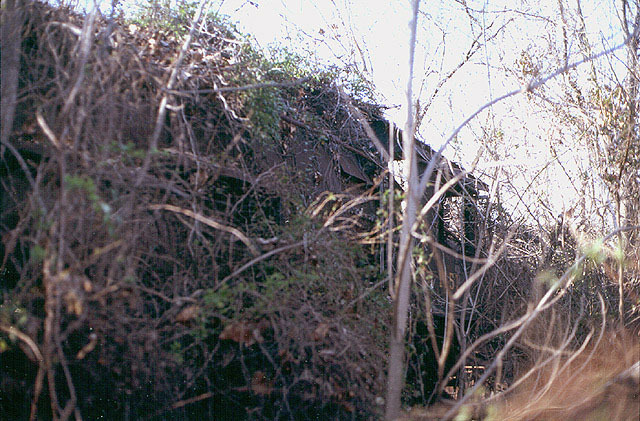 The only surviving Roanoke-built M2c 4-8-0, no. 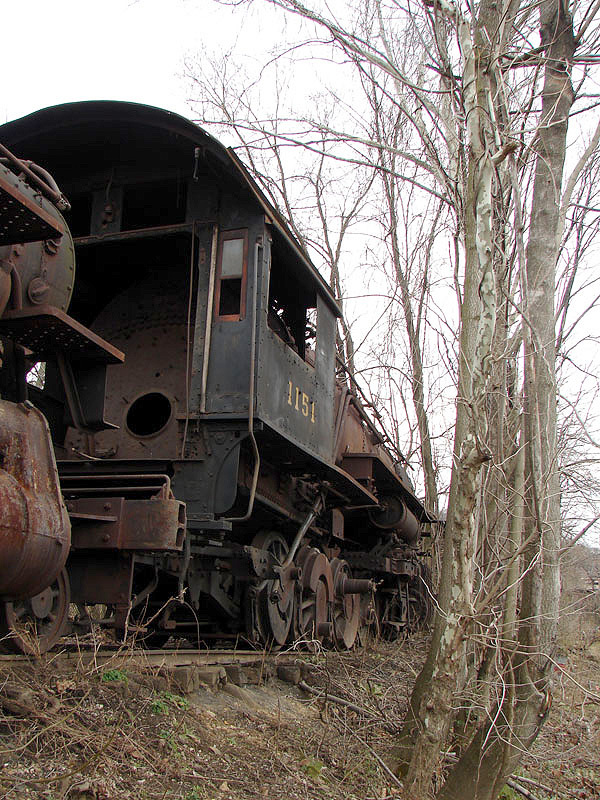 1151 is easily in the worst shape of the 4-8-0's, at least in terms of missing parts. 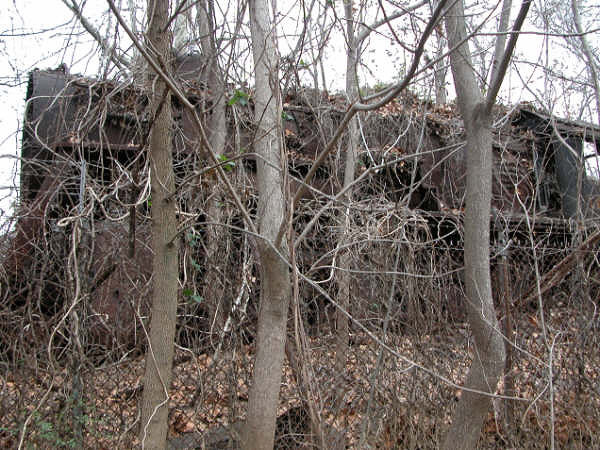 In my earlier visits, she was also the most heavily vine-covered of the engines. Like 1118, she is missing her smokestack. 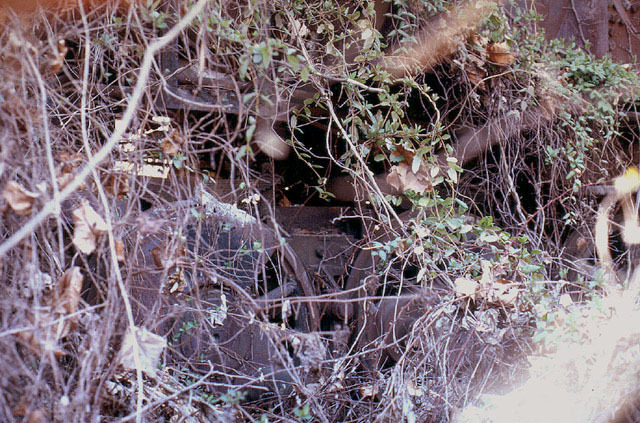 The smokebox front is also gone, as well as the connecting rods, coupling rods, and eccentric rods on both sides. 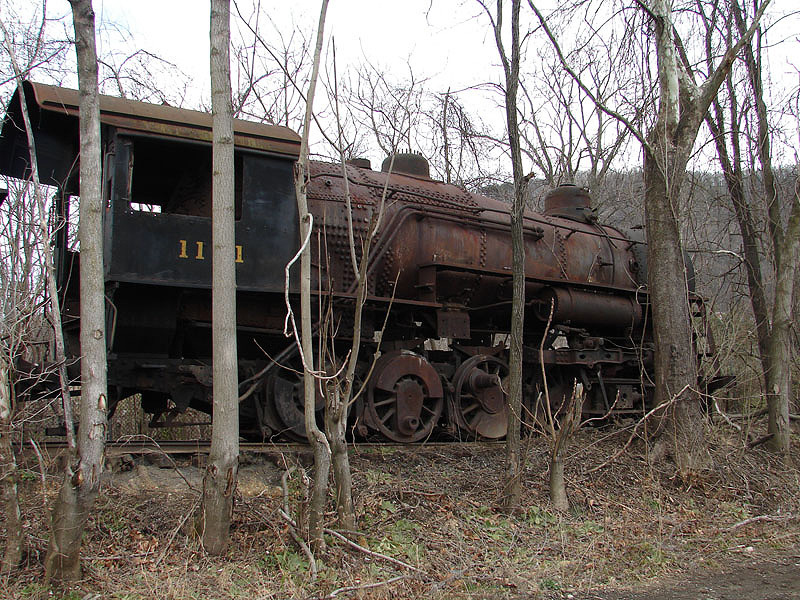 However, 1151's condition is not as bad as it had seemed when I first caught a glimpse of her in 1999. At that time, I thought it looked as though the crank pins were cut off the drivers, but on closer inspection during my March 2008 visit, it's clear that they were simply unbolted and not cut. Also, a number of the "missing" parts (including coupling rods and the smokebox door) are on the ground next to the engine. 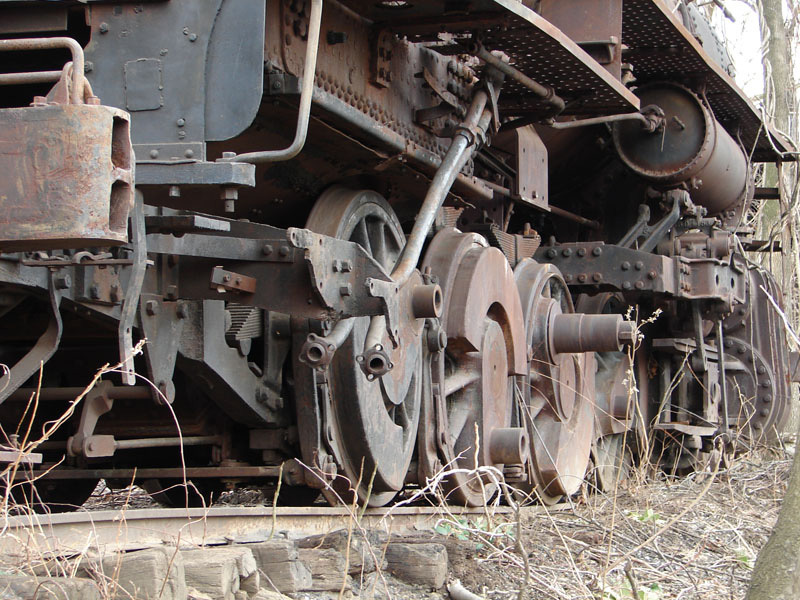 The valve gear, which is of the Baker type instead of the Walschaert's valve gear used on the Baldwin-built M2's, appears to be more or less complete apart from the eccentric rods. 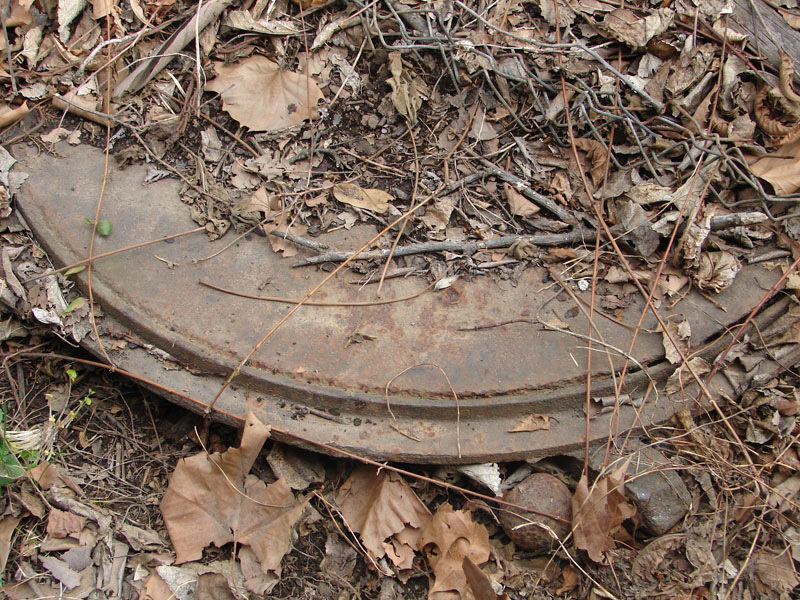 What appears to be the missing smokebox door from 1151, lying half-buried on the ground nearby. 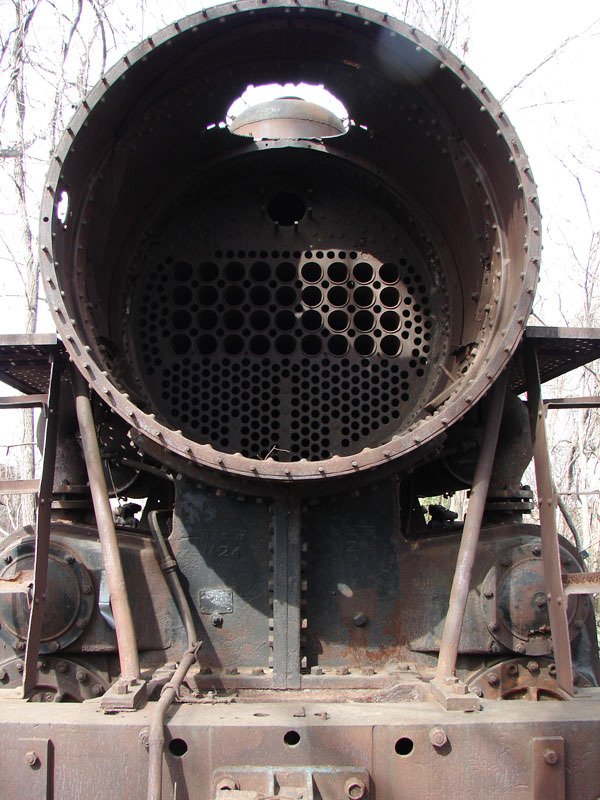 Head-on view of 1151 showing her missing stack and smokebox front, and gutted smokebox. 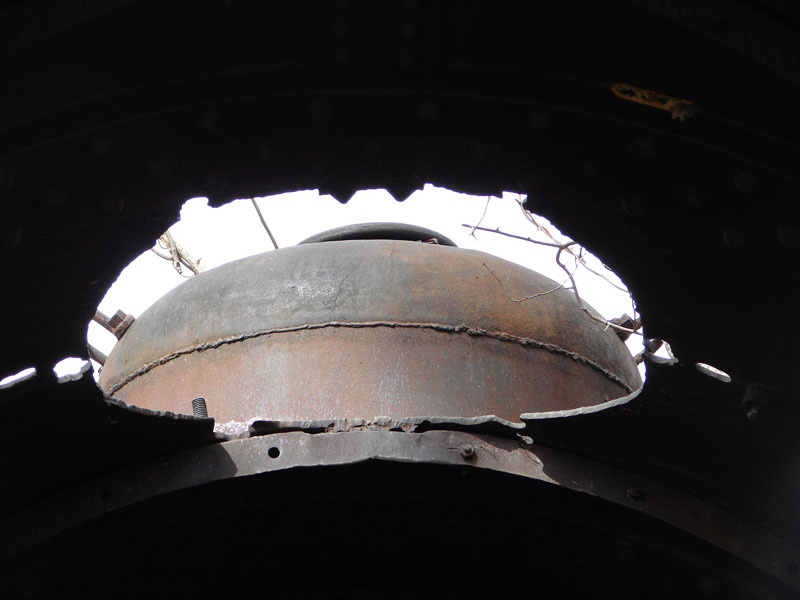 View of the 1151's sand dome through the hole where her smokestack used to be. 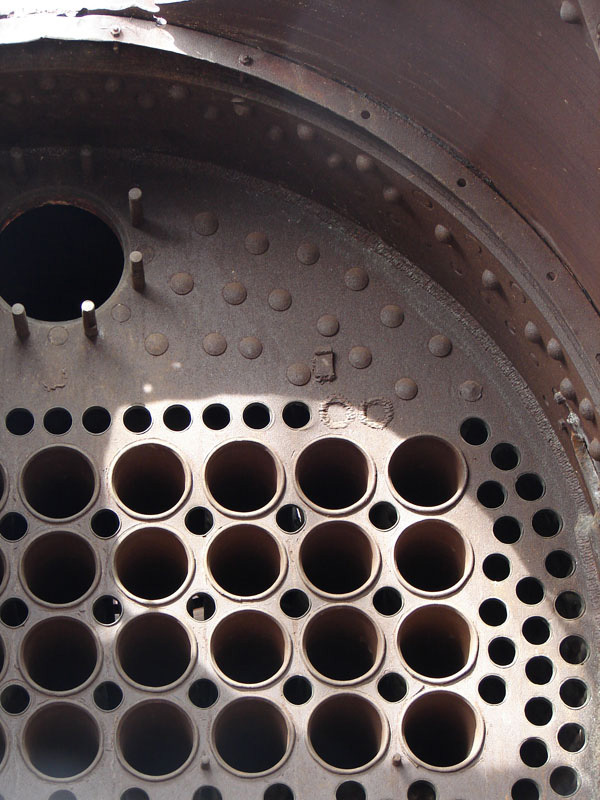 Close-up of 1151's front tube sheet. 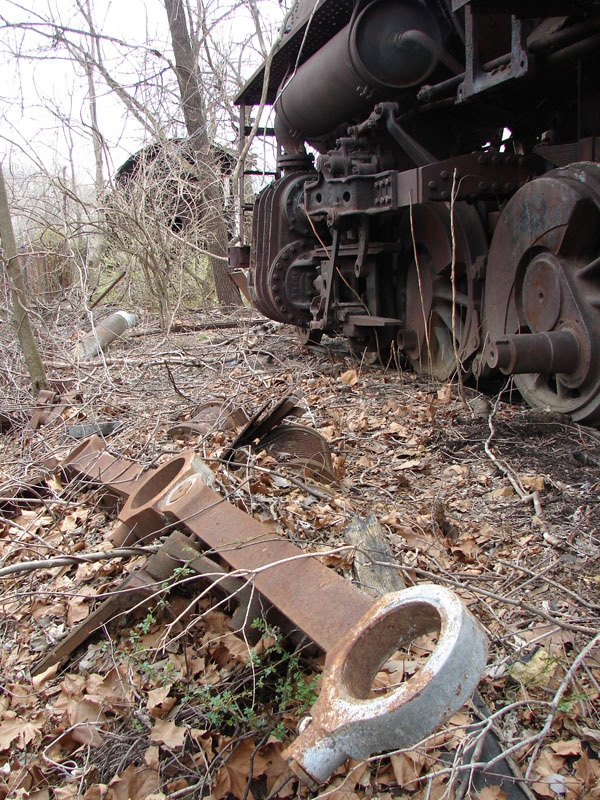 The fireman's side coupling rods from 1151 are lying on the ground beside her, along with an assortment of other parts. A closer look at 1151's drivers. Rear view of 1151 with 917 behind her. Note the glass still in place in the rear cab window. 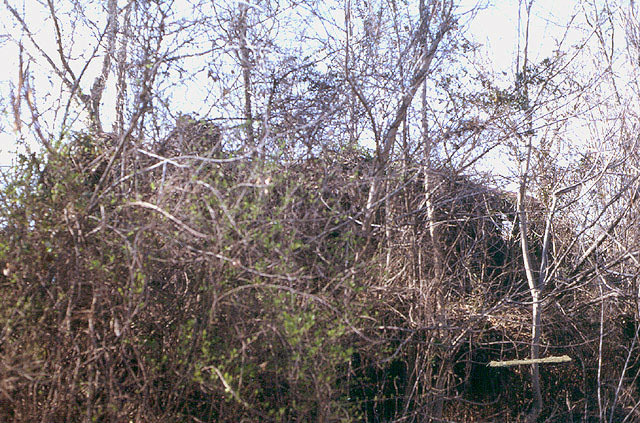 Still obscured by the tangle of vegetation, here's a boradside view of no. 1151 with 2-8-0 no. 917 behind her. 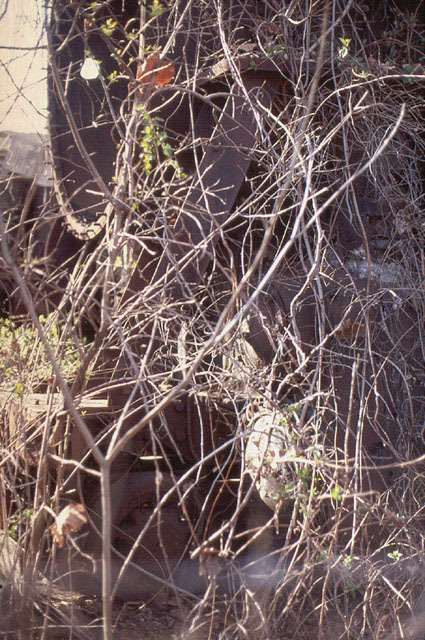 Can you find the engine in this picture? 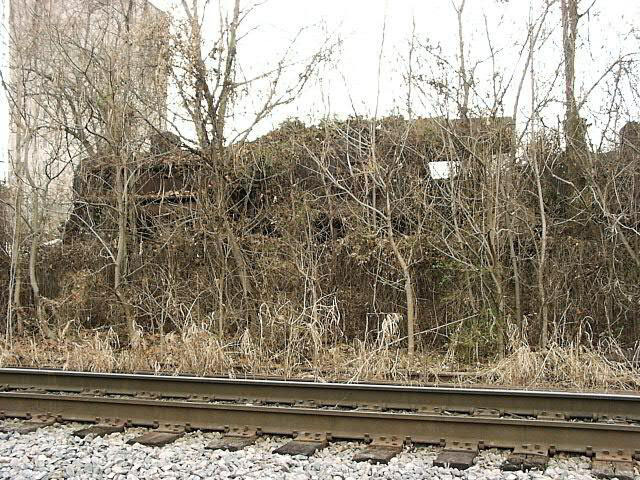 Even without the leaves, 1151 still wears a thick cover of vines. 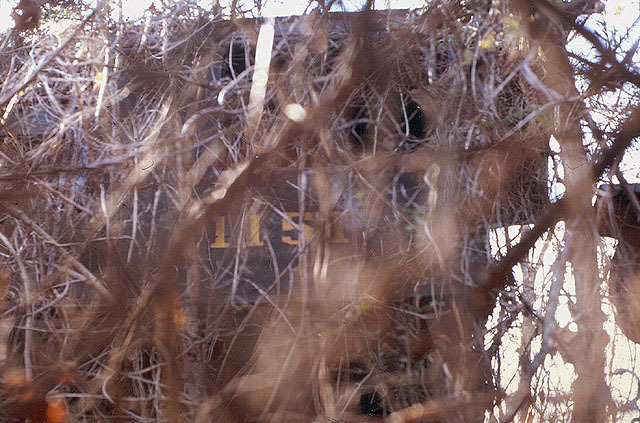 A view through the fence of 1151's cab side number. Close-up of the front-end of 1151. Note she is missing her smokebox front. Close-up of 1151's driving wheels, minus the coupling rods and crank pins. Or is that a view of 1151?